Note: This article appeared in the April 26, 2015 issue of The Reporter-Times and has been republished with permission. MOORESVILLE — After 60 showings, Chris and Jenny Nugent finally found a buyer for their former dream home. It comes with 2.5 acres on the outskirts of Mooresville, just inside the Monrovia school district. Chris never blamed the cautious house hunters. He wouldn’t have bought it either, had he known someone cooked and used methamphetamine in the house two years ago. 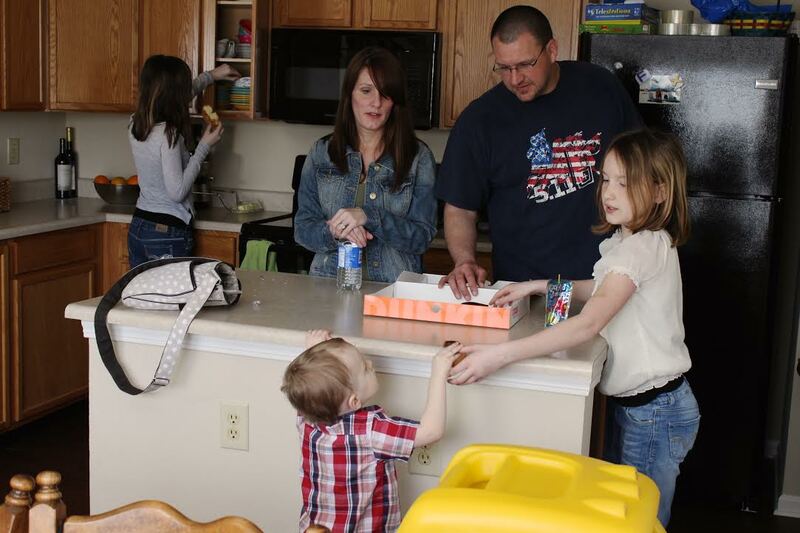 Chris, Jenny and their three young children lived in the meth house for 10 months. They became sick, and their dog developed cancer and needed to be put down. They fled after a test kit revealed high levels of meth contamination. They had to throw away almost every belonging due to the contamination. Crisis Cleaning, a certified meth and biohazards remediation company, decontaminated the property, making it habitable for new owners. But Jenny said they had too many bad memories to return. Not long ago, they believed the bank might foreclose the house if it didn’t sell. But even if that did happen, at least it was safe, Jenny said. Some likely know the Nugents’ story. Starting in May 2014, the Mooresville-Decatur Times, the Martinsville Reporter-Times, WRTV-TV, ABC News, the Associated Press and other media outlets featured the family and the meth house. Chris and Jenny, who describe themselves as private people desiring a quiet life, never felt comfortable in the media appearances. But they felt compelled, Jenny said, to say something. “We felt like this could’ve happened to anyone, and we don’t want it to happen to people. It’s been horrible. It has been literally the worst thing that we’ve had to go through,” she said. Realtor Lori Argue, who sold the Nugents the house, disagrees. In an October 2014 statement, Argue’s lawyer states she knew the home’s previous owner, her son Joshua Argue, used meth. The statement adds she never saw him use meth, especially at the property. “There is simply no evidence that Lori Argue or any representative of Carpenter had any knowledge of methamphetamine use or contamination at the property,” the statement says. The Nugents filed a lawsuit against Argue, her son, her son’s ex-wife and Carpenter Realtors. Jenny said they tried mediation, but the other side wants the case to go to trial. When signs of meth contamination appeared, they tested the property and found three times the legally acceptable limit in some rooms. However, Jenny said their insurance company wouldn’t pay for meth remediation. This can cost $10,000, but Crisis Cleaning did the work pro bono, Jenny said. After the Nugents left the meth house, they lived in a hotel room, then an apartment. They recently found a rental home in the Plainfield area. Besides their mattresses and some clothes, Chris said friends, family and even some strangers gave them everything. The Nugents couldn’t afford a new couch, kitchen table, appliances, dressers and toys. Chris spent more than $24,000 remodeling the meth house, digging into their savings. Moving out devoured the rest of their savings. Even with the sale of the house, they’ll have to take a loss. Jenny left her job as a probation officer in Marion County when they moved to the meth house. After leaving the house, Chris took a job that pays one-third his former salary. Jenny’s sister, Chelsea Humble, set up a crowdfunding account to help the family get back on their feet. It can be found at www.crowdrise.com/helpthenugentsrebuild. Humble said so far only family members have donated, and she expected a bigger response.